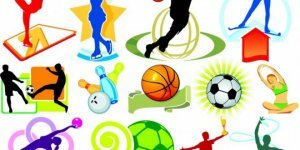 Home » Local Council Events Calendar » tagged "Children"
CALENDAR OF EVENTS IN AND AROUND WISBECH - tagged "Children"
Easter holiday family friendly eggstravaganza! 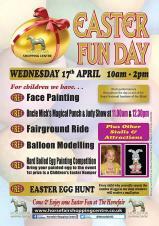 Egg hunt trail (daily), Wed and Thu come join in the fun with retro games, childhood memories and craft activities. 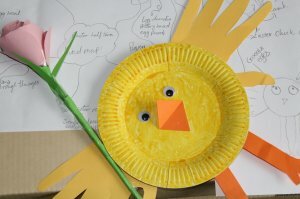 Our Young Saturday Volunteers have been getting ready for Easter holiday make and create sessions. They will be running Easter craft workshops on Saturday 13 and 20 April from 11am - 3pm - do come along! 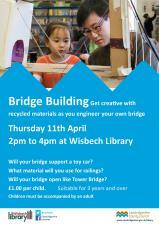 Bridge Building - Get creative with recyclable materials as you engineer your own bridge. Will your bridge support a toy car? What material will you use for railings? Will your bridge open like Tower Bridge? 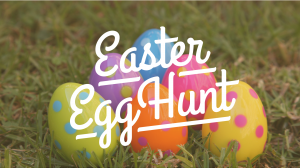 Marshland Hall will be running an Easter Egg Hunt from Monday 15th - Friday 19th April, 10am - 2pm each day. Entry costs £2 per child and includes a treasure hunt around the field where you can solve clues which reveal the magic words. The correct magic words will help you claim your Easter prize! We have cuddly toy prizes for those who can't have chocolate eggs, or just prefer a toy! Register in the Tea Room where there will also be a free colouring competition and lots of homemade refreshments if you need a well deserved treat after the treasure hunt! 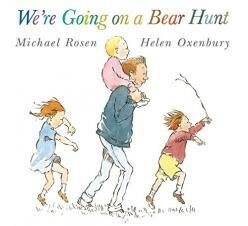 Celebrate with library staff the 30th anniversary of this wonderful book. 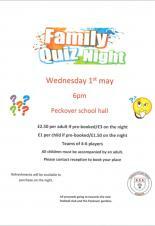 £2.50 per ticket, suitable for children aged 3 and above. HTML5 validated. WCAG compliant. Page generated in 0.0946 seconds.